DISCOUNT TICKETS NOW AVAILABLE FOR REDWOOD WRITERS AND FRIENDS! tickets only cost $5 each! May 12: Redwood Writers FUN-Raiser: Members Only! May 22: Audience Favorite: Awarded following the show. 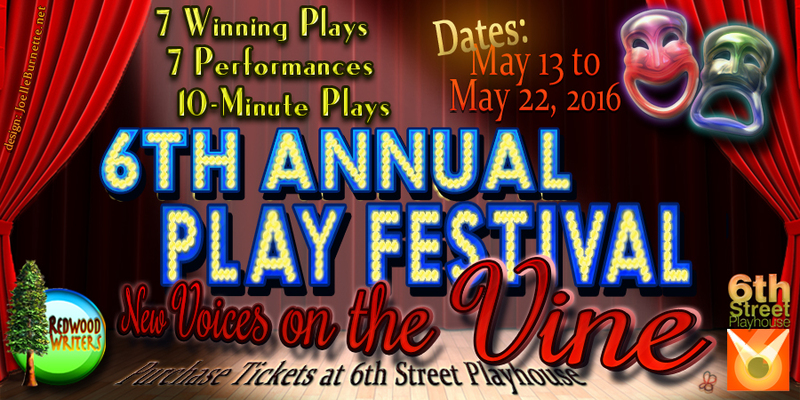 Find out more about the winning plays and playwrights by clicking here. Call the number, above, to purchase discounted tickets.